You are here: Home / Blog / DevOps / What are the best DevOps tools for telecoms? DevOps has taken the tech world by storm, and it's only a matter of time before it permeates the telecom sector,allowing them to support their clients with new product offerings. Although DevOps has historically been closely associated with software development, the truth is it's very much an industry-agnostic approach. 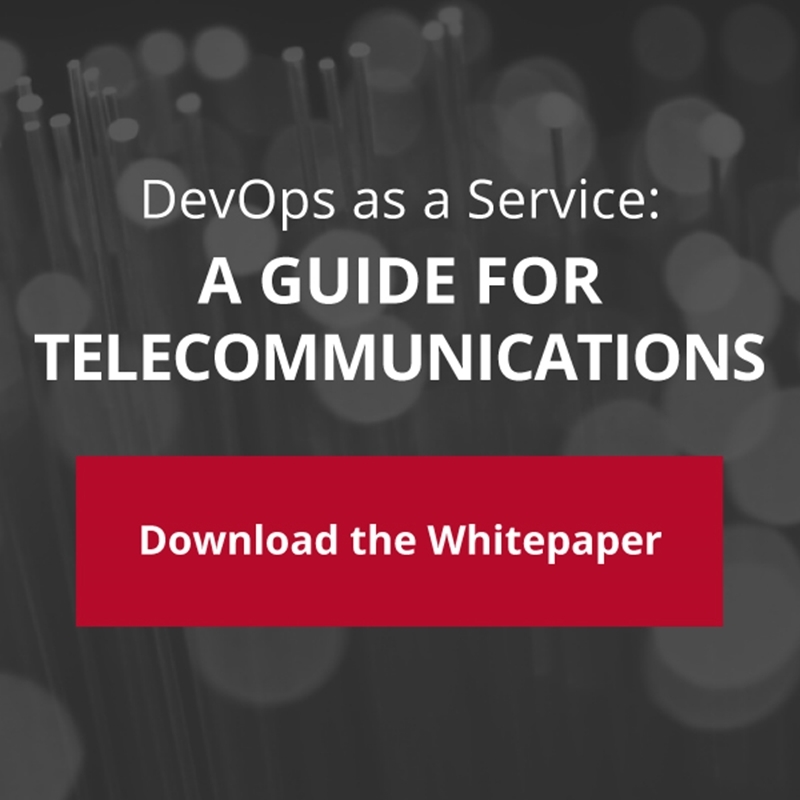 In fact, telcos can enjoy a number of advantages by deploying DevOps strategies, and developing services that support their clients' own DevOps journeys. Essentially any business that relies on IT infrastructure will find something to like with DevOps. According to Puppet's 2017 State of DevOps report, DevOps benefits all organizations, regardless of industry, and provides advantages that can be measured in both financial and performance results. For example, after assessing the performance metrics of sophisticated DevOps users, the report's analysts found significant increases in automation. One-third automated more configuration management tasks, while 27 percent had increased the number of automated software tests. That kind of enhancement can directly lead to improved delivery speeds, streamlined workflows and greater productivity. When time-consuming, arduous tasks are taken off of IT's plate, those skilled staff members can dedicate themselves to more innovative, value-driving objectives. "DevOps is an equal-opportunity revolution." Although DevOps has long been considered a luxury that could only be enjoyed by the largest and most sophisticated enterprises, that is simply not the case. DevOps is an equal-opportunity revolution. "Our findings this year show that the ability to develop and deliver software efficiently and accurately is a key differentiator and value driver for all organizations – for-profit, not-for-profit, educational and government organizations alike," the report stated. "If you want to deliver value, no matter how you measure it, DevOps is the way to go." Automation is the backbone of DevOps, facilitating fast delivery speeds and enabling personnel to take on new tasks and objectives. It should permeate the entire DevOps setup, supporting testing, integration and deployment. Automated test scripts greatly accelerate the quality assurance process, enabling teams to more thoroughly review code and assess software performance at every stage of development. Meanwhile, new software builds can be pushed to deployment environments at regular intervals so the project is continually moving forward. Teams can also configure their automation tools to deliver builds to a production environment at certain times (most likely at least once a day), allowing them to routinely check for performance and functionality. It may sound like telcos need to invest in separate tools to automate each aspect of development, but a sophisticated, DevOps-savvy service provider should be able to provide everything they'll need. Telecom IT environments are incredibly complex, and if every asset isn't precisely configured to work together harmoniously, it could impact network and system performance. DevOps initiatives can only be successful when configuration management solutions are present to ensure applications are properly configured for their environments. These tools help teams create configuration files for each program, which can then be applied either at run time or deployment to match the particular scenario. DevOps opens up many opportunities to quickly roll out software to users, gather feedback and apply it to create even better applications. That doesn't necessarily mean telcos want to treat their users as guinea pigs or software testers. If there's a major bug, error or other issue present in a particular build, companies want it addressed before software reaches the user. That's where monitoring and health check tools come into play. Monitoring software can quickly spot issues such as low memory or disk space before they affect application performance. Similarly, it can see if a new build puts too much stress on the CPU to be viable. Even better, health check software can be automated to regularly check for these kinds of backbreaking problems so teams can quickly assess the impact of any change to the application. There are opportunities to take automated monitoring capabilities to the next level as well. For example, if monitoring software detected an increase in network traffic or a strain on CPU, it could relay that information to an automated scaling process, which would open up more resources to shoulder that load. This would effectively allow for more traffic without adversely affecting network and application performance. DevOps can be a major asset to telecoms as both an internal initiative and new service direction, but they need to lay the groundwork first to support such projects. Contact CloudSmartz today to find out which tools you need to make DevOps a success as well as a new opportunity. http://cloudsmartz.com/wp-content/uploads/2017/09/Solutions-like-automation-and-monitoring-tools-are-essential-for-DevOps_16001472_40042811_0_14118066_500.jpg 230 499 Michael Vannest http://cloudsmartz.com/wp-content/uploads/2018/12/CloudSmartz-Logo-300x134.png Michael Vannest2017-09-22 09:22:002018-06-01 14:49:03What are the best DevOps tools for telecoms?